Bertie's back for Autumn in this darling flannel quilt by Bonnie Sullivan. 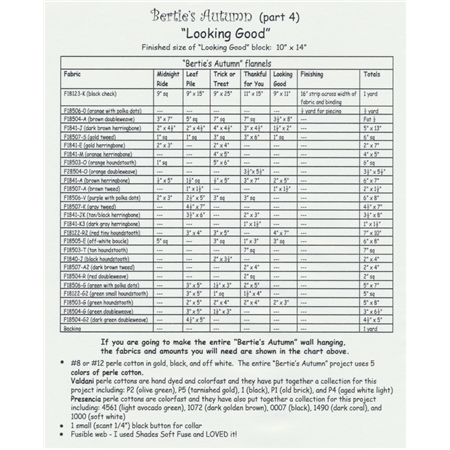 Create the 10" x 14" "Looking Good" block with this pattern. 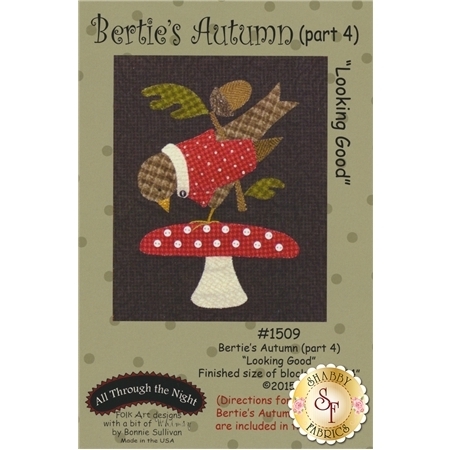 Directions for finishing the Bertie's Autumn wall hanging are also included inside!